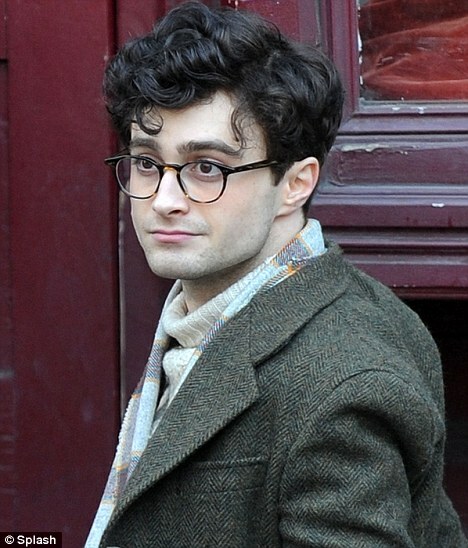 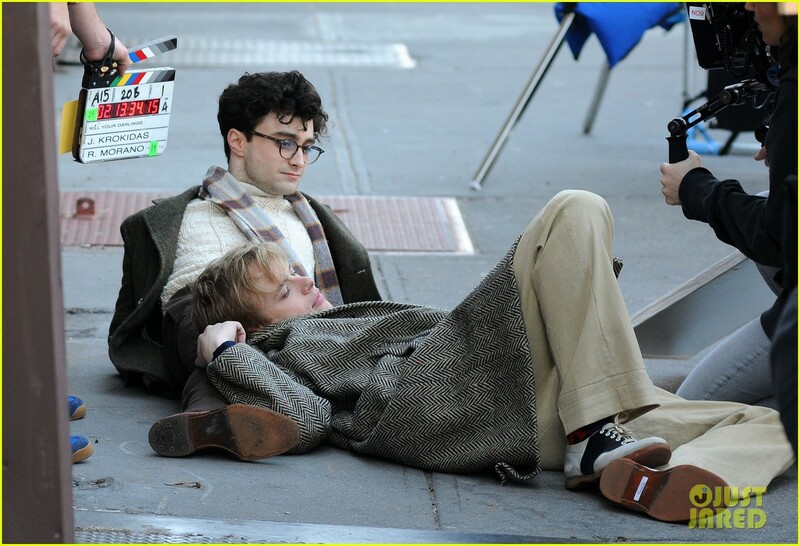 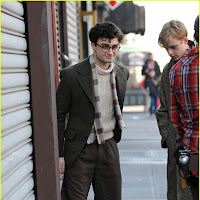 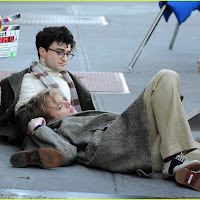 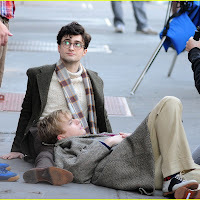 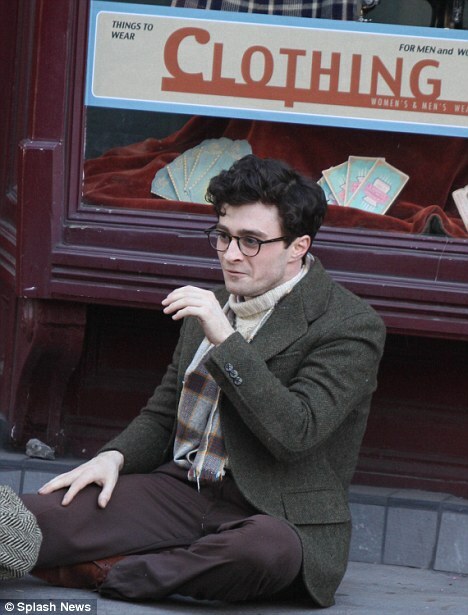 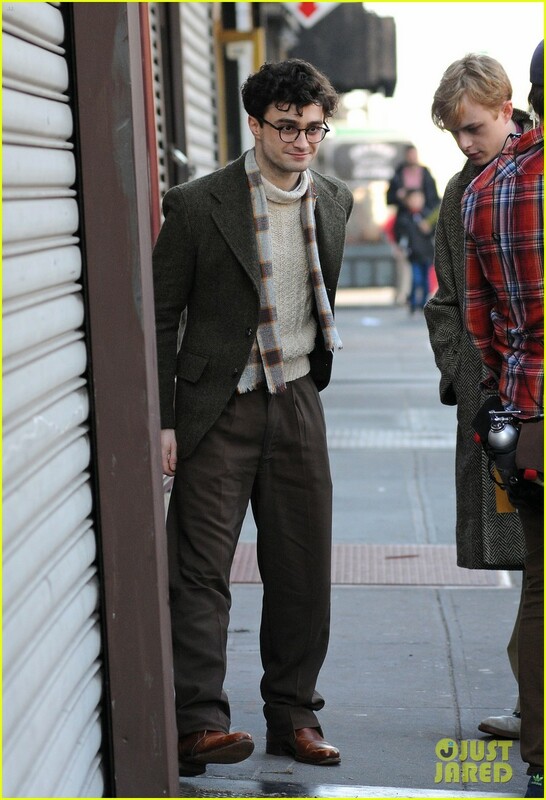 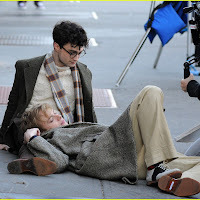 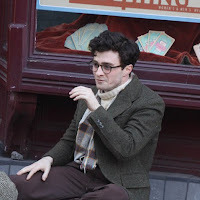 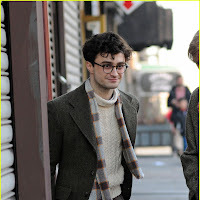 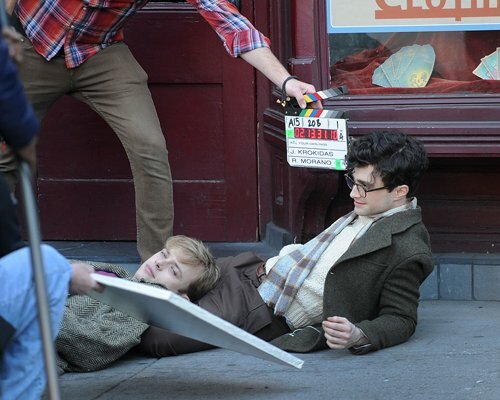 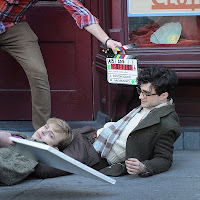 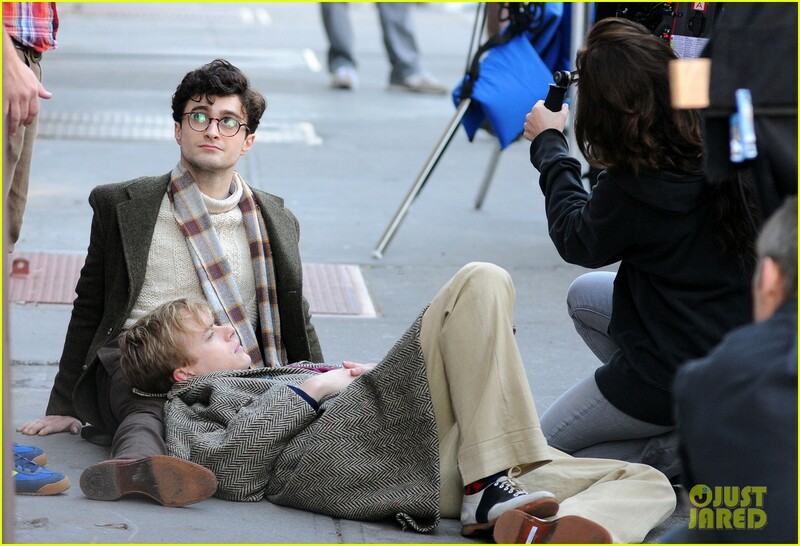 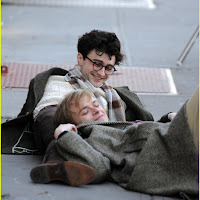 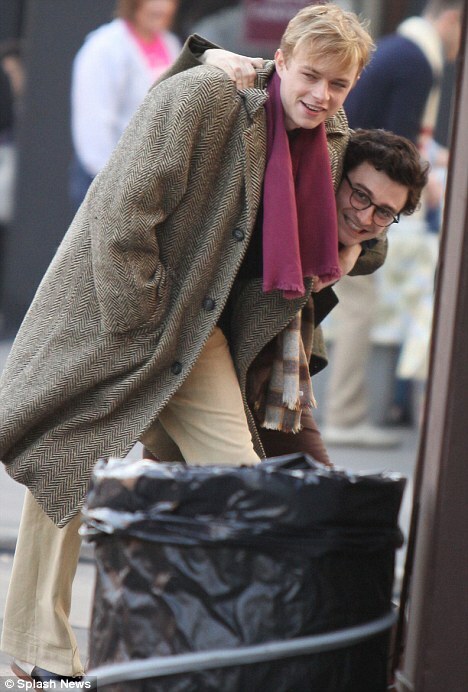 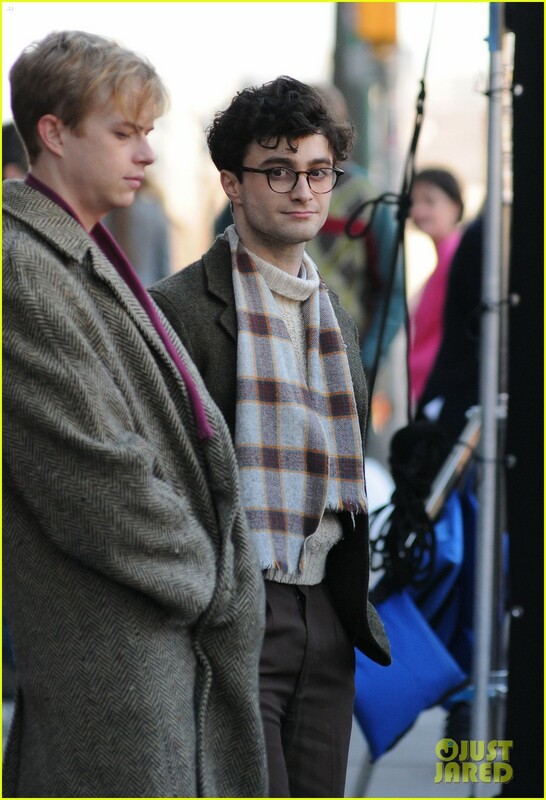 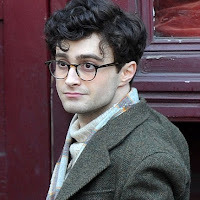 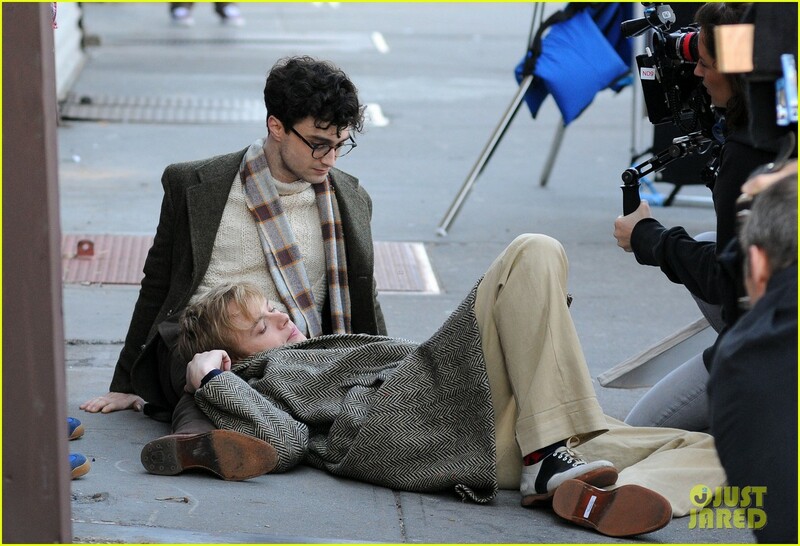 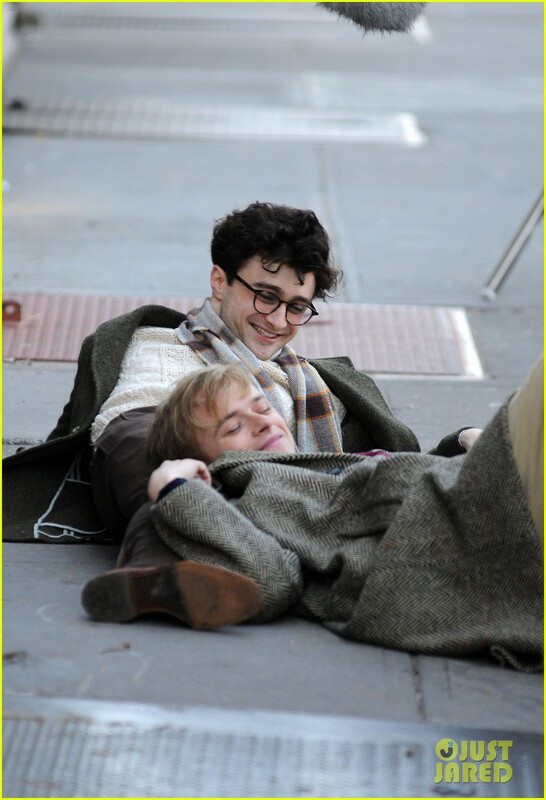 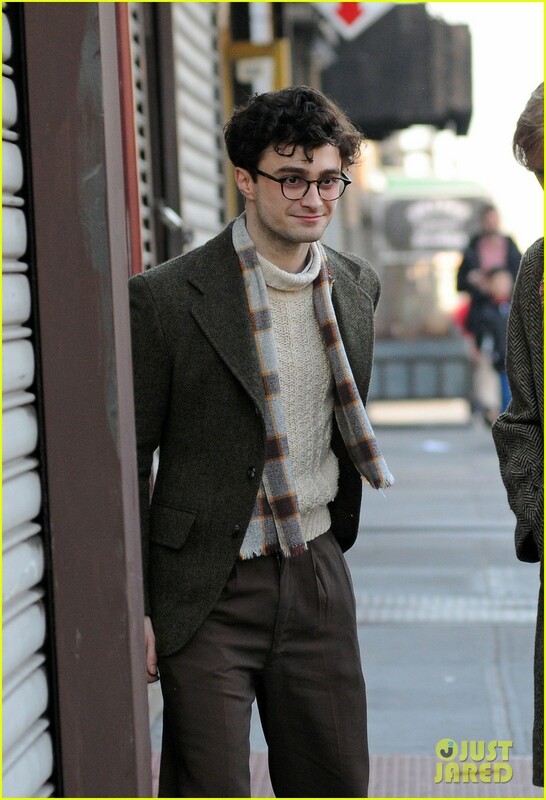 Here are the first filming pictures from Daniel (character: Allen Ginsberg) on the set of his new movie Kill Your Darlings, which were made today 19th March 2012 in Brooklyn, NY. 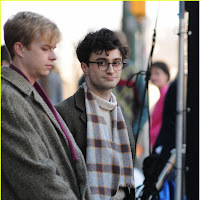 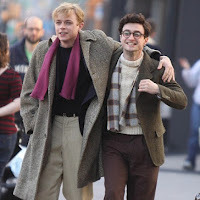 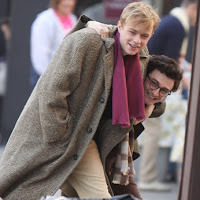 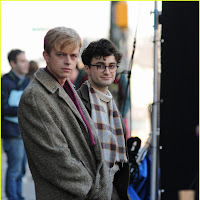 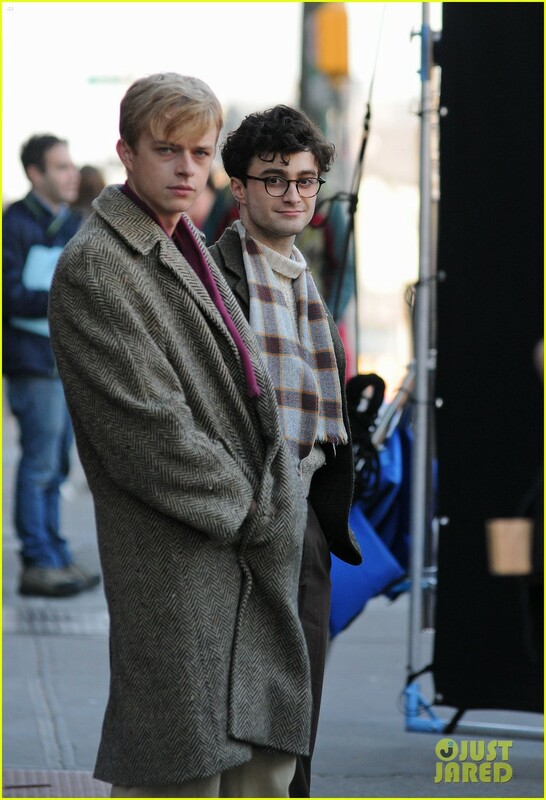 (and believe me there are MANY going around the internet right now..) Daniel was filming scenes with actor Dane DeHaan, who plays Beat Generation member Lucien Carr. 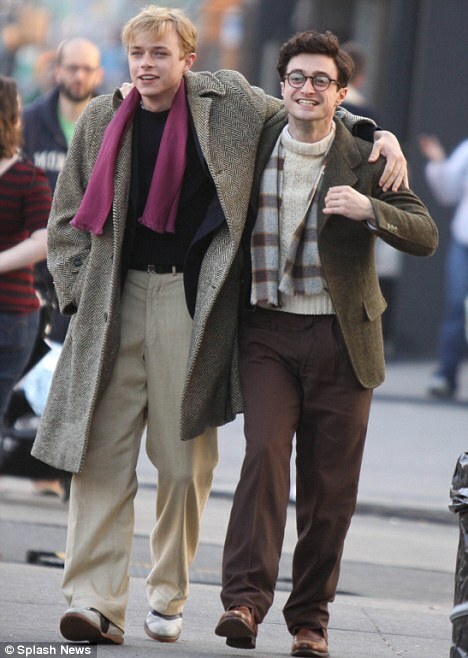 Below the best ones..